Squeeze these adorable critters and they will stick out their tongue and squeak! Clip them on for some Peek-A-Boo fun! Cat, Dog, Bunny & Bear. 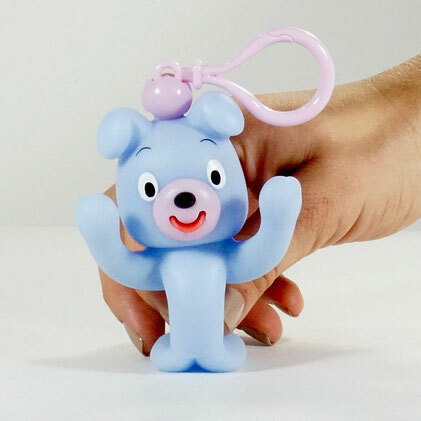 Carry 'em, toss 'em, collect 'em, squeeze 'em and play Peek-A-Boo all day with Jabb-A-Boo Bear! This charming bear will bring happiness and joy to kids of all ages!